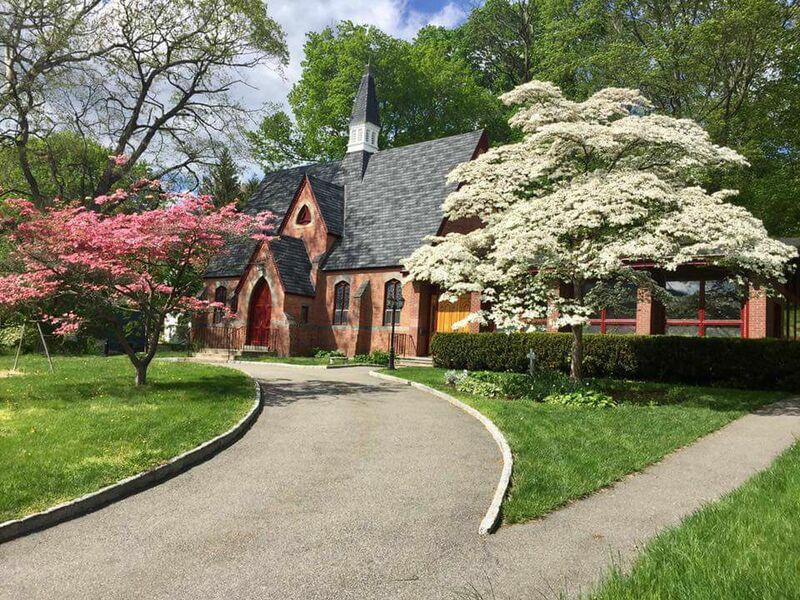 ​Experience the journey of Lent and the joy of Easter through prayer, music, meditation, communion, and celebration with your friends at First Presbyterian Church of Philipstown (FPCP) at 10 Academy Street in Cold Spring. April 18: Maundy Thursday. At 7 pm, recall the Last Supper at our Tenebrae Service, experienced in growing darkness. Rev. Dr. Doris Chandler leads the service. April 19: Good Friday. At 12 noon, we join other communities of faith for an ecumenical service at St. Mary's-in-the-Highlands Episcopal Church in Cold Spring. April 21: Easter Sunday. Our 10:30 am Celebration Service led by Rev. Dr. Doris Chandler features music by the Chancel Choir, professional soloists, woodwinds, bass, drums, strings, and piano. As our Easter service ends, we sing Handel's Hallelujah Chorus together with our traditional joy and gusto! Then our littlest congregation members flock to the church lawn for the annual FPCP Easter Egg Hunt! Come and see us on Sunday mornings! to engage and learn, to celebrate and heal, to help and serve others, at First Presbyterian Church of Philipstown (FPCP). Please join our email list! Just complete the handy form at the bottom of this page, and you will receive our Monday morning emails and bi-monthly newsletter. FPCP: We are The Church of the Open Door. we affirm there can be no exclusiveness about the body of Christ. ​in the life of our congregation. Meet FPCP's Reverend Dr. Doris Chandler here: Our Pastor. Opportunities to learn, grow, and share -- to do good, and to feel good at FPCP. Meet our Spring 2019 Confirmation Class! These amazing teens are participating in Confirm Not Conform, our spring 2019 confirmation class! They are meeting weekly to talk about faith and spirituality and learn about other faith traditions. They also will take part in a mission project to help people in need in our community. At the end of the class, teens will decide if they want to be an active participant in the church. And: Every student will be celebrated at a special confirmation service on Sunday, June 9, at 10:30 am, at FPCP: The Church of the Open Door, 10 Academy Street in Cold Spring! All teens in our community are welcome at FPCP teen programs -- you do not need to be a member of the congregation to participate. For more information, contact Carolyn at pchamsia@gmail.com. And: Read more about teen community service opportunities and other youth education programs right here! Sunday School in 2018-19: Welcoming new students (and teachers!) all year long. We welcome all children and youth in our community, from pre-K to Grade 8, to come to Sunday School. We are blessed with wonderful volunteer teachers who guide lessons each week. Please consider teaching one Sunday this year. You don't have to be a parent or grandparent; everyone has special gifts, stories, and wisdom to share! For more information, contact Carolyn at pchamsia@gmail.com or (845) 265-3969. To volunteer to teach, please sign up here. Our Adult Study Series is focusing on Brian McLaren's We Make the Road By Walking. Let's see where it leads us! If you're seeking a fresh way to experience faith, if you're a long-term Christian seeking new vitality, or if you feel out of place in traditional services and practices, this book will inspire you! All are welcome, and join in on any Sunday. For more information about our Adult Study program, contact Lynn at lebnab@optonline.net. Community members are invited to drop in to this quiet hour of prayer and meditation in our library at the First Presbyterian Church of Philipstown. Take time for grace in the middle of the work week. The core concept of Contemplative Prayer is to "Be still and know I am God" (Psalm 46:10). All are welcome. For more information, contact Lynn at lebnab@optonline.net. 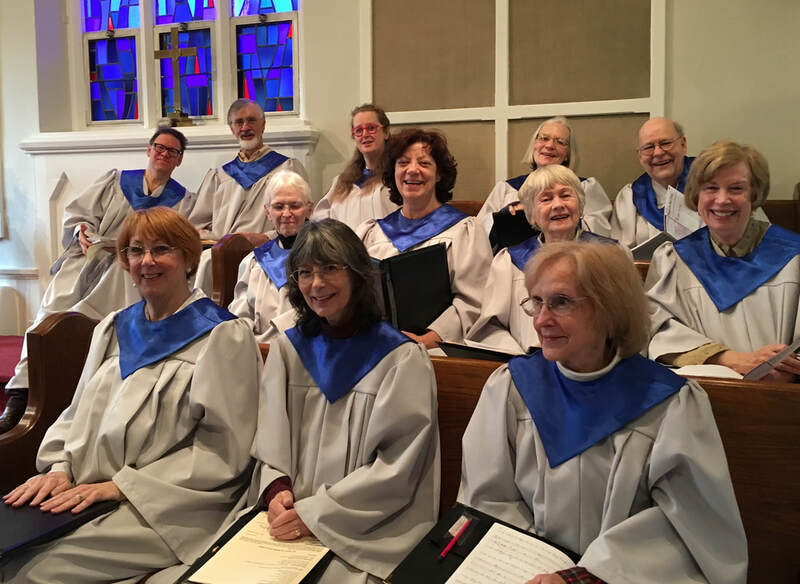 Make a Joyful Noise: Sing with our Chancel Choir! Congregation and community members are welcome to sing with our Chancel Choir! Rehearsals are at 7 pm every Wednesday, and the choir sings on Sundays at our 10:30 service. Director of Music Tom McCoy, a well-known jazz pianist, curates a wide range of music including spirituals, folk, contemporary, and classical music as well as carols, hymns, and seasonal favorites during Advent, Christmas, Lent, and Easter. Join us whenever the spirit moves you! For more information about Worship & Arts initiatives, contact Cathy at carnevalevmd@aol.com. You can also click here. Love to Read? Join FPCP's Book Club! FPCP's Book Club meets monthly to share insights about inspiring, creative books. Books read to date include: Almost Everything: Notes on Hope by Ann Lamott; I Am Malala, by Malala Yousafzai, the Pakistani girl who fought for her right to an education; Manhattan Beach by Jennifer Egan; and You Learn by Living by Eleanor Roosevelt. Field trips and lunches could be in our future plans! For more information about the Book Group, including details on their next gathering, please contact Lynn at lebnab@optonline.net or the church office at 1presbyterian@gmail.com or call the church office at (845)-265-3220. Like to Dine Out and Socialize? Join the "Lunch Bunch"! Every month, our Lunch Bunch gathers at a local restaurant to enjoy good food and conversation. All are welcome to join in the fun! For information about Lunch Bunch events, contact the church office at 1presbyterian@gmail.com or at (845)-265-3220. Meet us. Join us. All are welcome! ​​FPCP: We are the Church of the Open Door. ​We seek to live out the truth of God's love. Worship is inclusive and inventive. Joy is found in nurturing one another. ​We seek to bring comfort to all people. Discover more about FPCP: The Church of the Open Door. Read our Weekly Email & Newsletter! Click here: News & Info. Stay in touch. Join our email list! to support our many charitable missions, programs, and activities in this community. All donations are tax deductible to the fullest extent allowable by law. Thank you! *NOTE: As of July 1, Worship starts at 10 am! Happy Summer!